AI has come a long way in recent years, from mobile assistants like Siri and Cortana to home automation tools that can adjust the thermostat, lock the door, and read the day’s headlines. More and more, people are adapting to an AI lifestyle where asking a robot to turn on the lights is as unexceptional as flipping a switch. It’s a stark about-face from the many cautionary tales that have graced the big screen, from “2001: A Space Odyssey” to “The Matrix.” And while today’s automated technology is still a far cry from the 1999 Disney Channel original movie’s self-aware smarthouse, the possibility that each of us might someday own a home that can self-clean, self-regulate, and even get the kids ready for school is no longer far-fetched. So what does your Google Hub or Amazon Echo have to do with a time tracking tool like TSheets? Think of it this way: They’re both the way of the future. Automated tools aren’t going away anytime soon. A recent industry forecast by Transparency Market Research (TMR) said the global home automation market is likely to be valued around $116.26 billion by 2026. Financial experts like InvestorPlace urge readers to invest in automation stocks, which, despite some setbacks in 2018, are projected to grow by leaps and bounds. Of course, home automation and other public-facing tech is just one small part of today’s AI marketplace. The larger and arguably more useful sector to business owners is automation designed with workers in mind. Think tools for testing IT solutions across various platforms. Coders and software developers can save time and resources by leaving the testing component of their work to tools that automatically compare performance across devices. And like all these solutions for construction and IT, TSheets is using automation to the benefit of employers and employees. Workers have been tracking time for decades. It’s how hourly employees, especially, get paid. What’s tough is when someone forgets to clock in or out, or accidentally tracks time for someone else, or makes a habit of staying clocked in over lunch breaks against company policy. Often, the result is a stalemate or a last-minute race to get payroll done before 5 o’clock on a Friday. With the help of automated time tracking, however, a lot of those problems can be avoided or diminished. 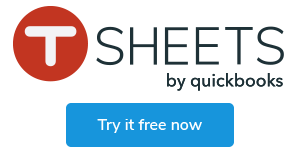 The TSheets app, for instance, uses location tracking and geofences to remind workers to clock in or out. When employees enter or exit a geofence around a job site, they receive a push notification, asking if they’d like to clock in or out. The app even records what time the worker crossed the geofence, so if the employee is distracted or unable to react immediately, they’ll still be able to record their time accurately. In other words, the days of trying to estimate what time someone got to work are over. TSheets has other automated capabilities as well that include AI technology: biometric facial recognition. Available on the TSheets Time Clock Kiosk, this feature keeps employees from accidentally tracking time for someone else and flags clock-in photos that don’t match the employee’s profile, for admin review. This software has AI built in, so employees who go to work having dyed their hair or swapped glasses for contacts can still track time. Even though AI is still only a small part of time tracking, if home automation tools like Google Home or Wink Hub are any indication, it won’t be long before paper timesheets are even more outdated. And time tracking tools are just the tip of the iceberg that is AI in the workplace. Like Will Smith’s Detective Spooner on “I, Robot,” it’s easy to feel uncomfortable with rapidly advancing tech. Fantastic global takeovers aside, rumors abound over whether or not AI might someday replace truck drivers and accountants. Yet change is inevitable, and as the gap between old technology and new continues to widen, all professionals must learn to adapt. With any luck, our future will be less the dystopian wasteland of “Blade Runner,” and more a symbiotic existence, where robots like Baymax and R2-D2 help us save the day, one timesheet, one home thermostat, at a time.